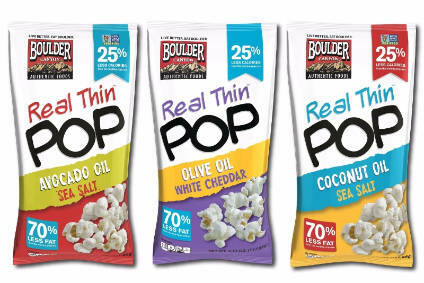 A year after announcing a review of its options, Inventure Foods has agreed to a sale to fellow US savoury snacks business Utz Quality Foods. US snacks specialist Utz Quality Foods has acquired rival Inventure Foods in a US$165m deal. US company Inventure Foods is to sell its frozen foods business to Oregon Potato Company for US$50m. US snack maker Inventure Foods today (20 March) reported a widening of its annual losses in 2016 amid impairment costs but also falling sales. Inventure Foods has offloaded its Fresh Frozen Foods arm to fellow US vegetable supplier The Pictsweet Company. Inventure Foods, the US food maker, booked higher sales in the second quarter of the year but this was not enough to shrug off decreases in the first quarter and the company's year-to-date revenue remained down. The management at Inventure Foods took the opportunity to present a roadmap for returning the US group to profitability at the ICR conference in Florida this week. However, with shares remaining at a 52-week low, it would appear the market remains as yet unconvinced by the company's prospects. Katy Askew reports.